Invoices: Where do I find them? As a group admin, you naturally want to have your accounting up to date. We'll show you where to find your Sunlight invoices easily. Your invoices are available to you at any time. In order to review and download them, simply access your group by displaying the top right menu and clicking on "Groups." 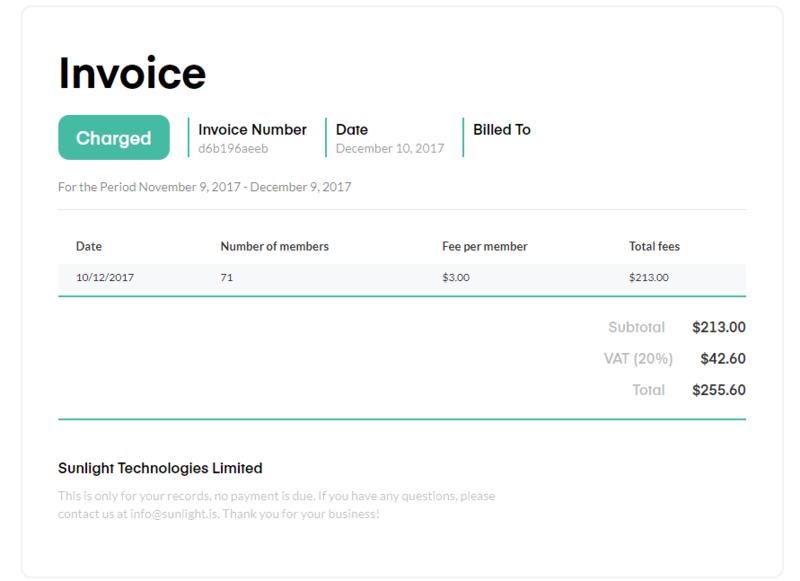 After that, select the group you wish to view invoices for. 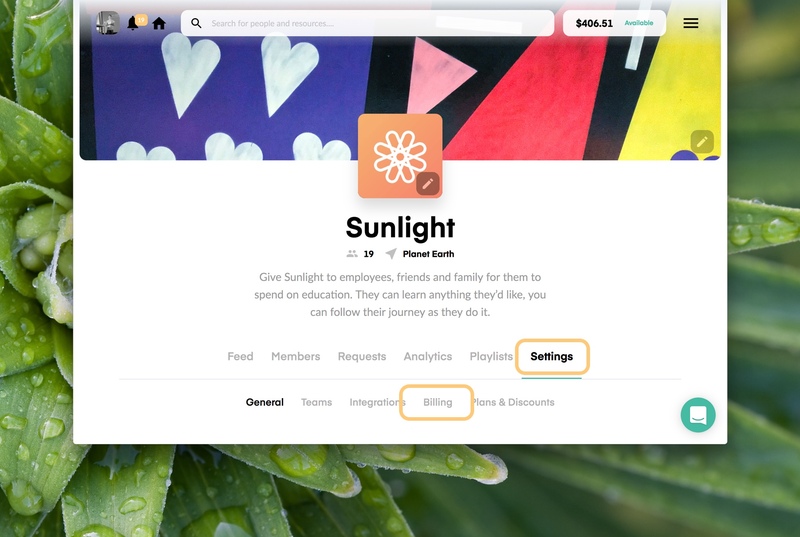 Once inside your group's profile, you'll be able to see a series of tabs that will give you access to different features. You'll need to click on the "Settings" tab to access the more technical part. From settings, you need to select "Billing" and you'll find everything your finance team will need from your company's Sunlight account. 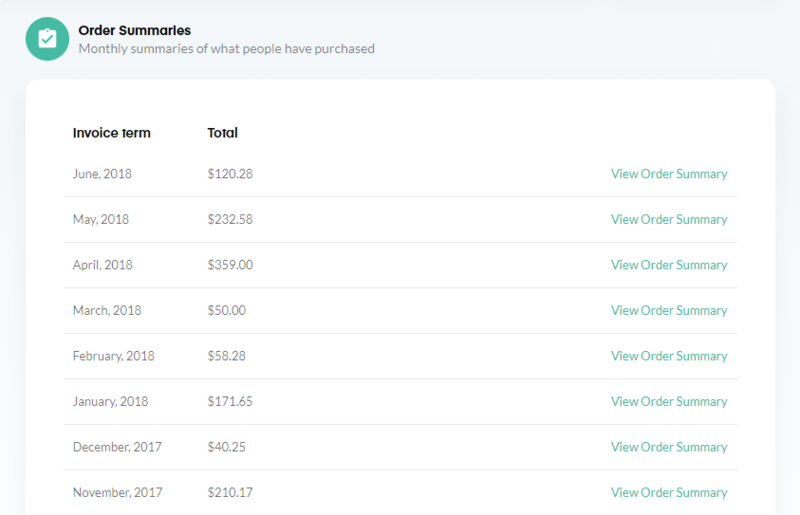 Under "Billing," you have access to your group's wallet, are able to change the company's card details and see all the transactions, invoices and request summaries to date, as well as a full record of your team's purchases. When it comes to invoices, we have two types available for you. The first one is the monthly invoice for using Sunlight. This is the detailed description of how much you are paying per user for our services. They become available at the end of each month of service, and you can view them and print them or save as a PDF file at any time. The second type of invoices we have is the summary of requests per calendar month. This is a detailed list of all the requests which have been completed within the month. You can open the summary and print or download as a PDF file at any time. From this summary, you can access all the requests from the month for further review. Finally, at the bottom you have a detailed table of all the completed requests of your team. This table gives a bit more detail at first glance, as it shows the user as well as other details you might find useful. This table can also be downloaded as a CSV file at any time you wish it. If you have any questions or comments, please do not hesitate to contact us at support@sunlight.is or through the Concierge feature via the button on the bottom right corner of your Sunlight account.